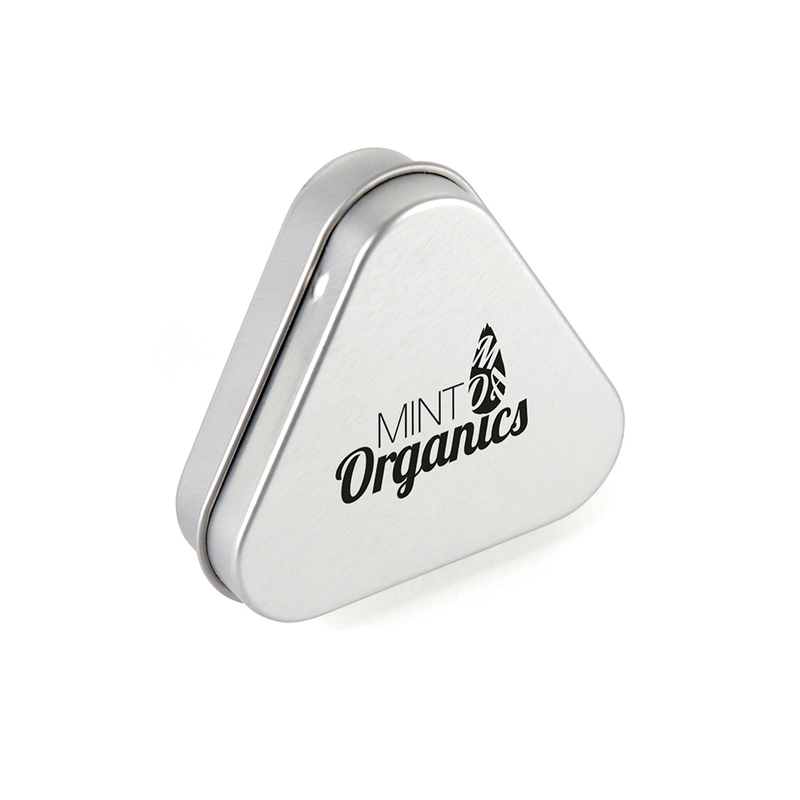 Description: Triangular shaped metal container with approx. 55 European (approx. 20g). Ingredients sticker and seal included.